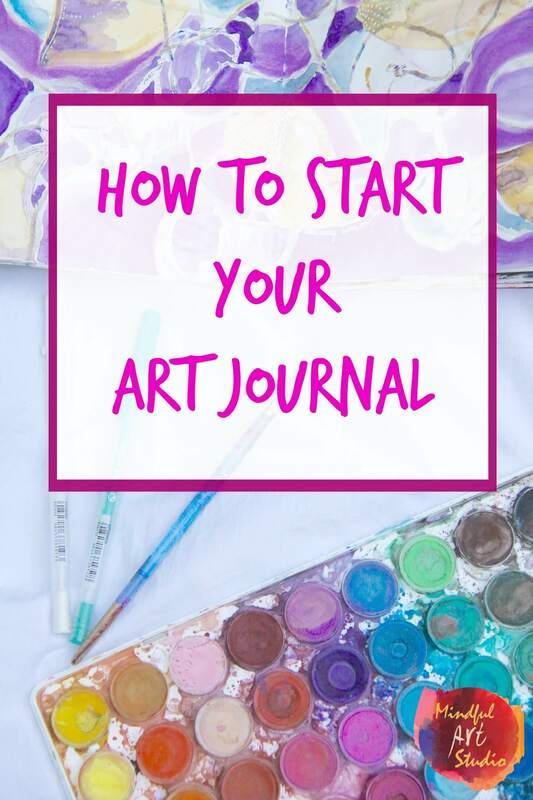 One of the most common issues that folks run into when they first start trying to keep an art journal is how to begin an art journal page. Some people have too many ideas, some have none at all, and lots doubt their artistic ability. 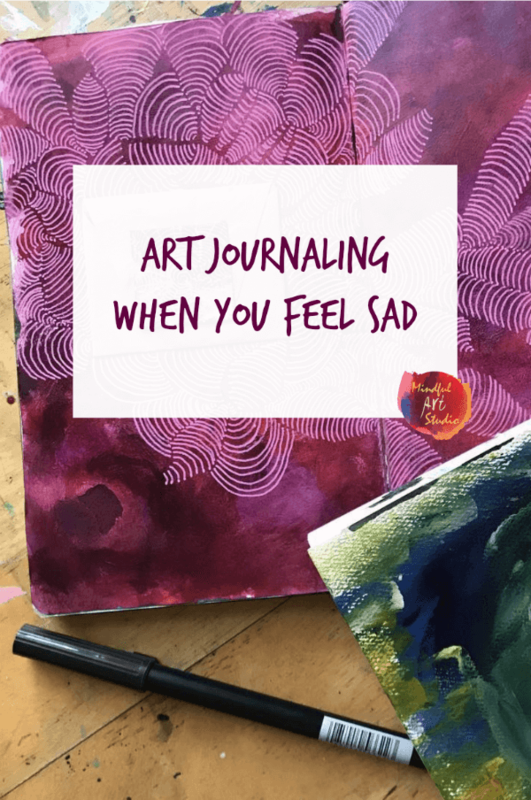 Art journaling is a beautiful practice because it welcomes us ALL – artists and non-artists alike, to record thoughts and feelings, explore, and play, in visual-written form. 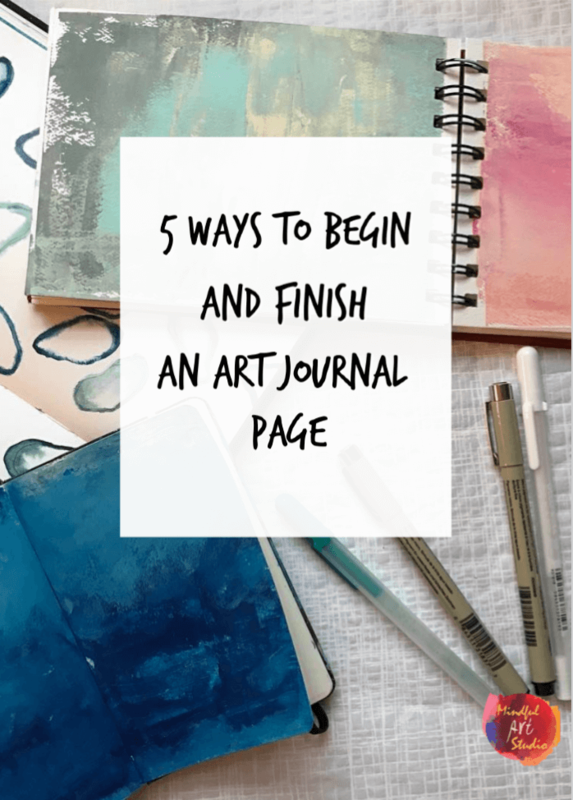 So how do you begin (and finish) an art journal page? 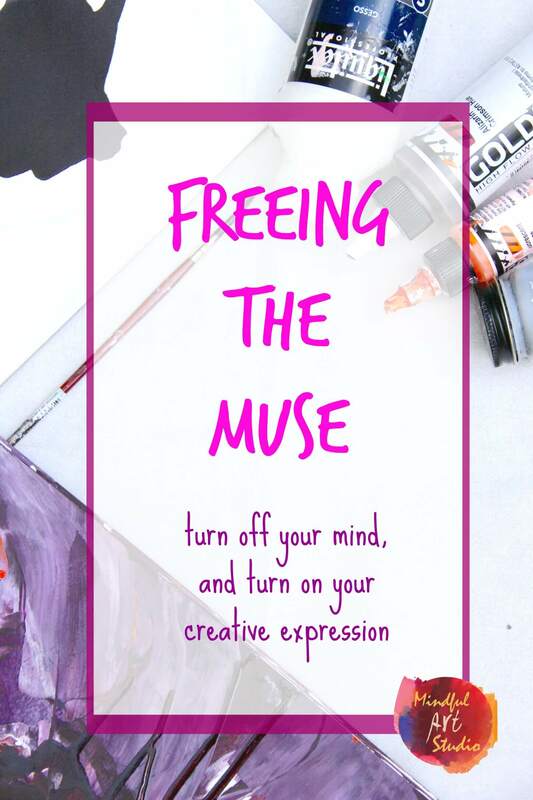 I want to share 5 simple and fun ideas that will help you create expressive, beautiful pages. Write all over the page. Let it all hang out. Write the deepest, silliest, craziest, boringest stuff down that is swimming around your heart and mind. Give it over to the page. 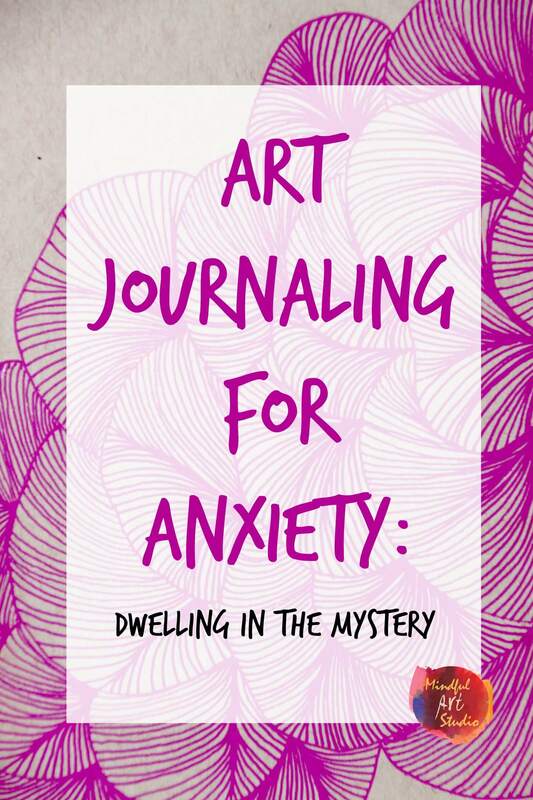 It can take it, because it’s your art journal! But if you are worried about someone finding the deepest secrets of your heart, worry not! We are going to cover it up for safe keeping. Paint your page black. 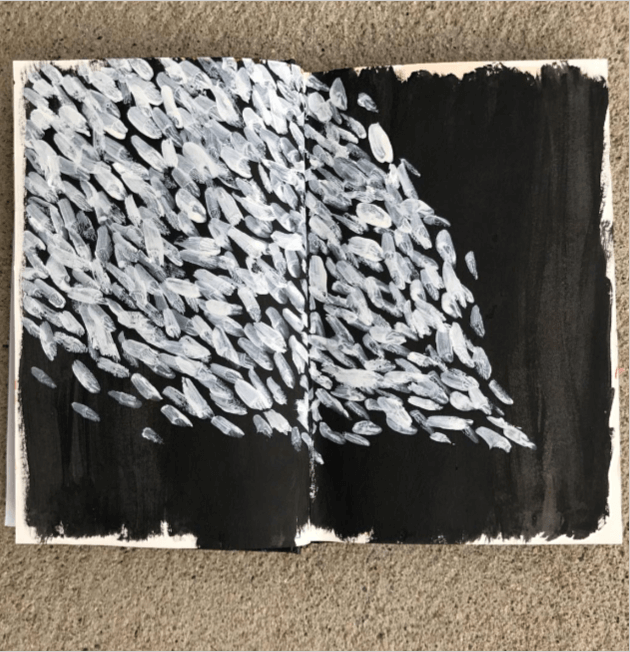 Grab some black paint, high flow acrylic, or ink and paint over the entire page. Use a dryer to speed up this stage if you wish. 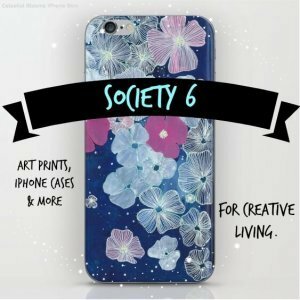 Make your personal galaxy of stars. 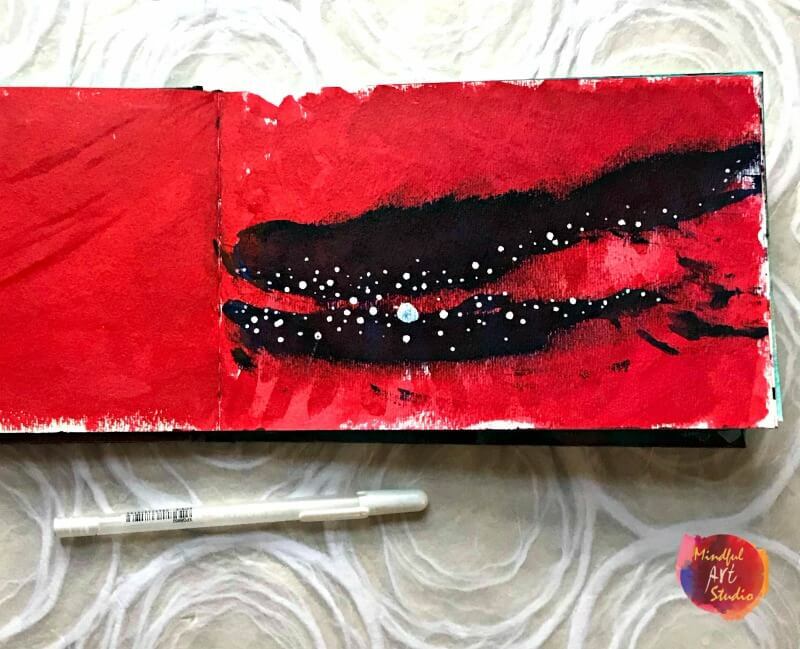 Use a white gel pen or a paint pen to create your own personal galaxy with what I call “dot clouds.” Let your dots (stars) cluster together as feels good, or look up some photos of the galaxy for a point of reference. More ideas with dots and doodles: You may also like the idea of creating with a buddy. Check out this collaboration I did with another artist for inspiration. Use 2 – 3 similar colors – like a couple of blues and a green, or yellows and a red or you might end up with mud. 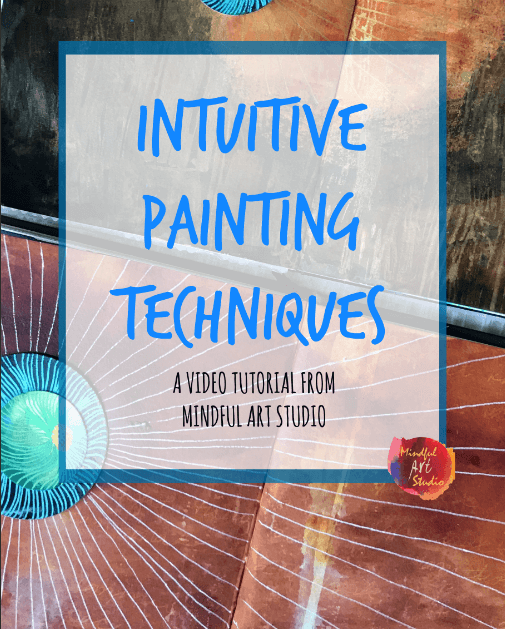 Give yourself permission to play and tune into your senses as you paint. Notice the feeling and the smell of the paint as you push it around the page. Focus more on what feels good than what looks good. The one word. 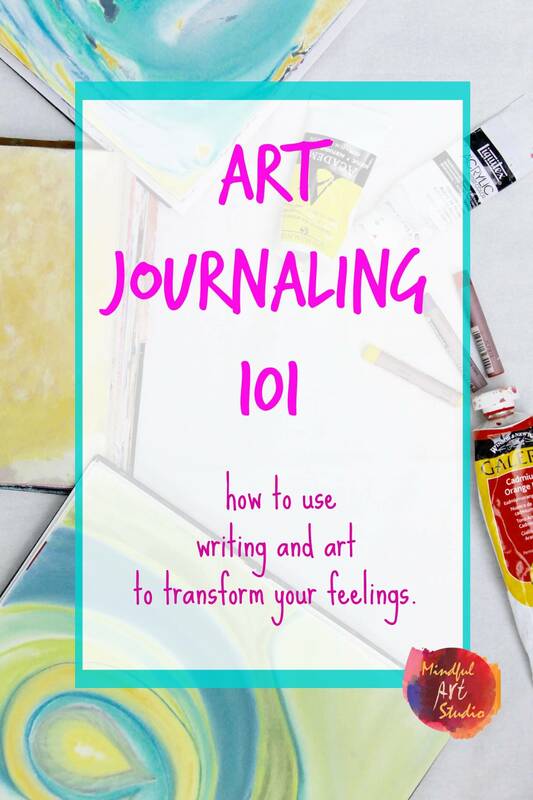 When it’s dry, use a brush or paint pen to write one word that summarizes what your experience felt like. 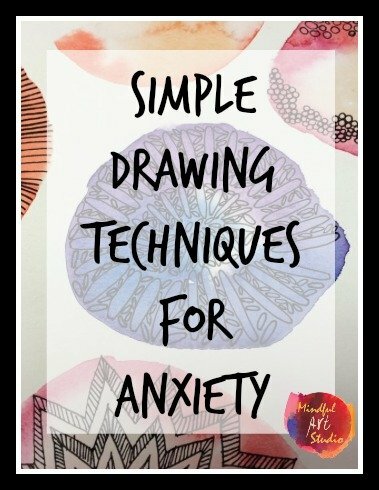 More playful art: You might also check out this post on making watercolor and string prints in your art journal. Trace a natural object that is meaningful to you. I’ve used shells and rocks mostly, but you could also do interesting shapes with acorns, dried flowers, or fruit. Imagine the fun of a banana page! 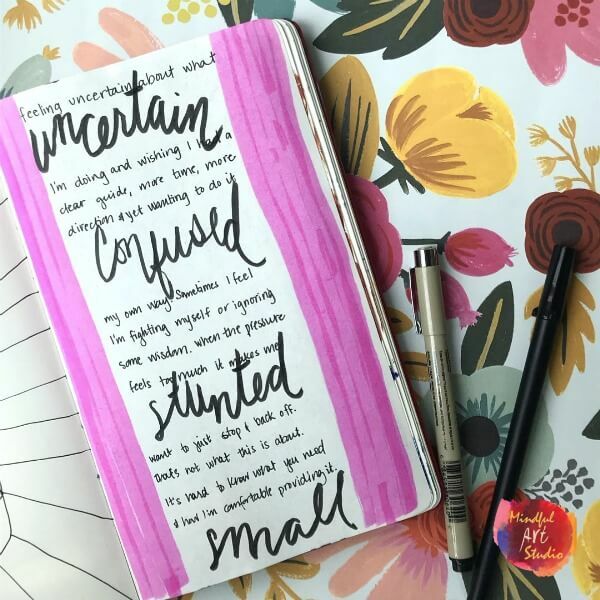 Use a permanent drawing pen like a Micron so that it doesn’t bleed when you add other elements to the page. 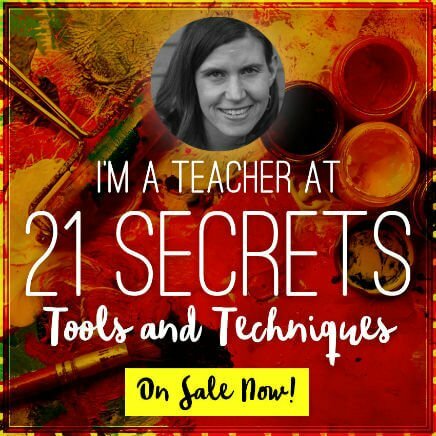 Trace the object multiple times on the page, or in multiple sizes. You might overlap them, or make it neat, or chaotic. Paint around the objects with a color that makes you feel peaceful. Paint in the objects with a color that matches and makes you feel happy. 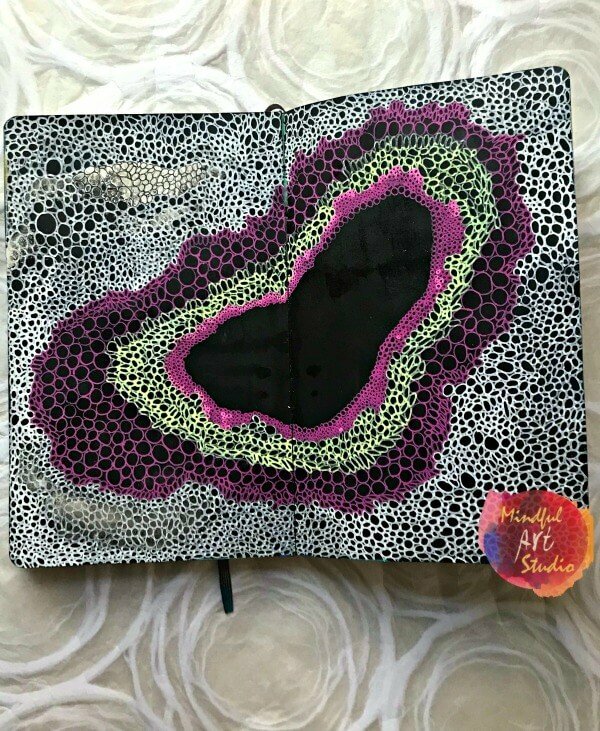 You’ve just created a cool pattern page in your art journal! 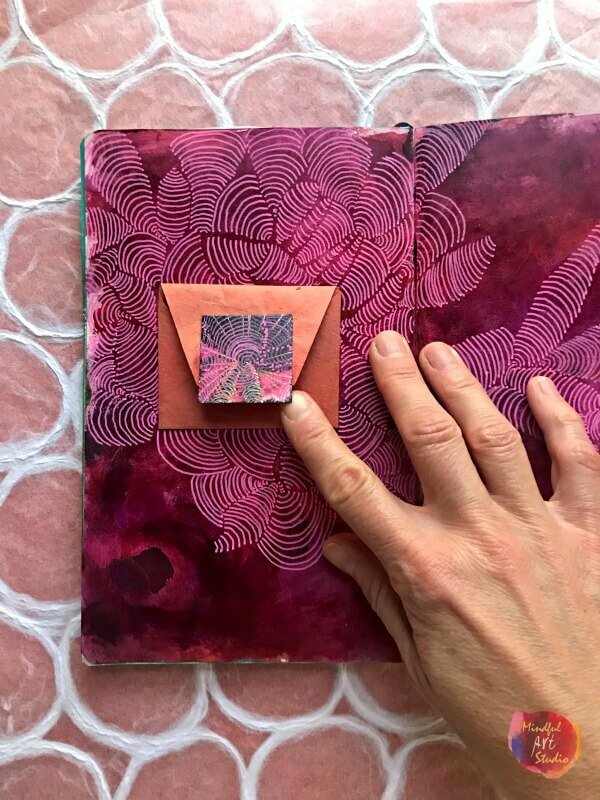 You can find more ideas on making art journal pages with natural object inspiration here and one on making natural object sculptures here. I also have a whole Pinterest board on patterns where I save tons of inspiring ideas. 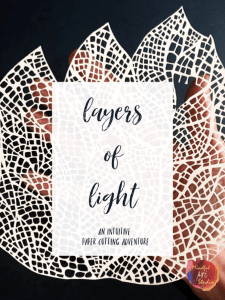 Cut up one of your own art pieces. You might use circles, stripes, or squares. Glue the pieces on the page in a way that pleases you. 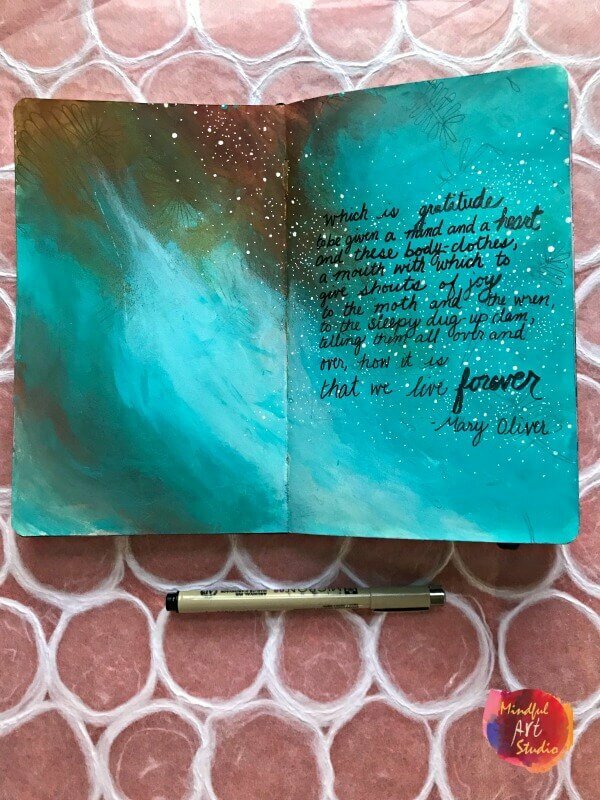 Pull the page together with paint. Use watercolor, acrylic, or Neocolor crayons to create unity on the page. 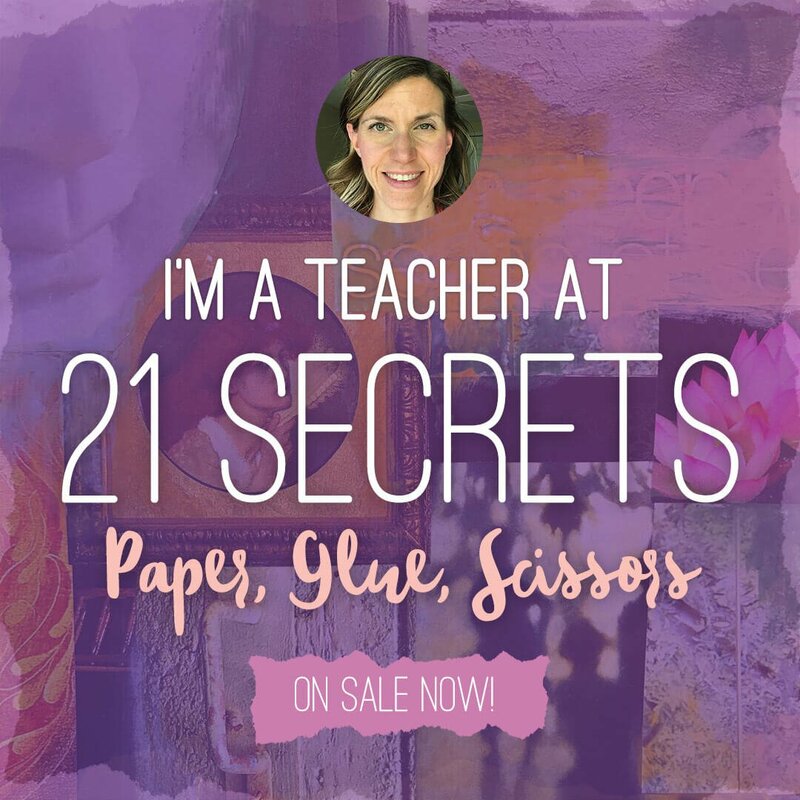 Pick one of the colors in your cut up art piece and keep the number of colors you use limited so that you bring the whole piece together. 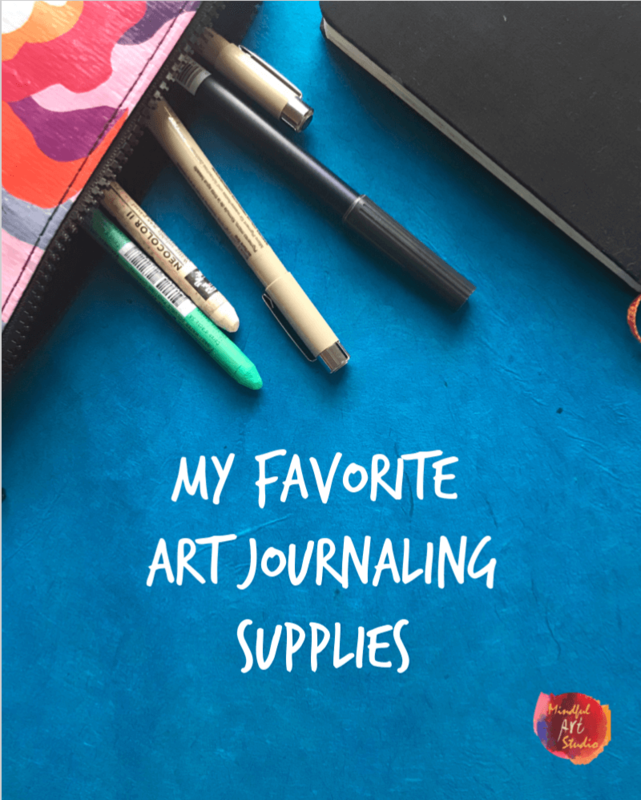 There’s a bunch of fun and easy ideas for art journal pages right here. 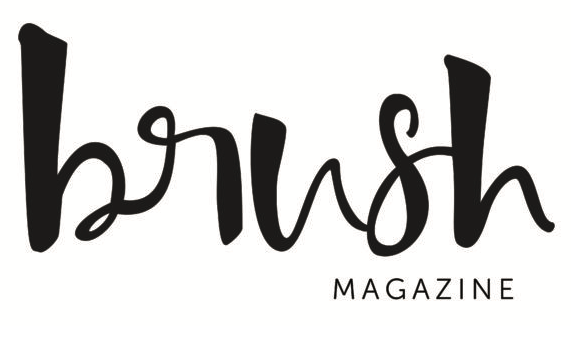 Choose your favorite color in acrylic or watercolor and a small, round brush. Keep a loose grip and paint circles. 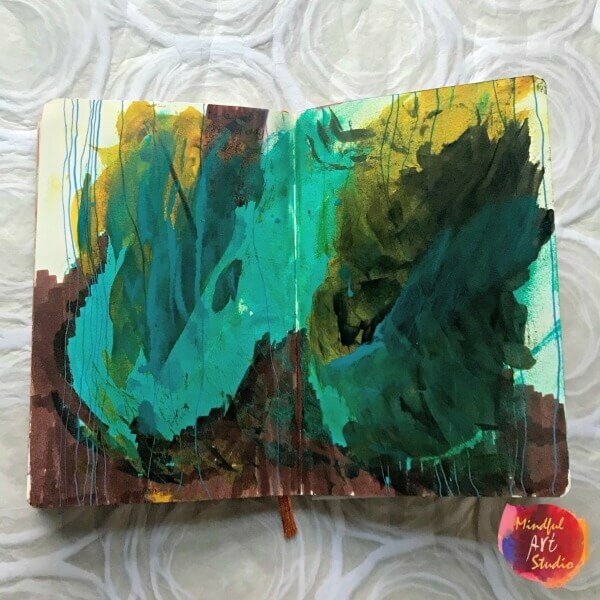 Hold the brush LOOSELY, and paint loopy circles (or another shape) all over the page. It helps me to pretend I’m a small child when I do this in order to keep my marks looking relaxed and almost primitive. Keep painting and overlapping your circles until you feel loose and the page is getting covered. 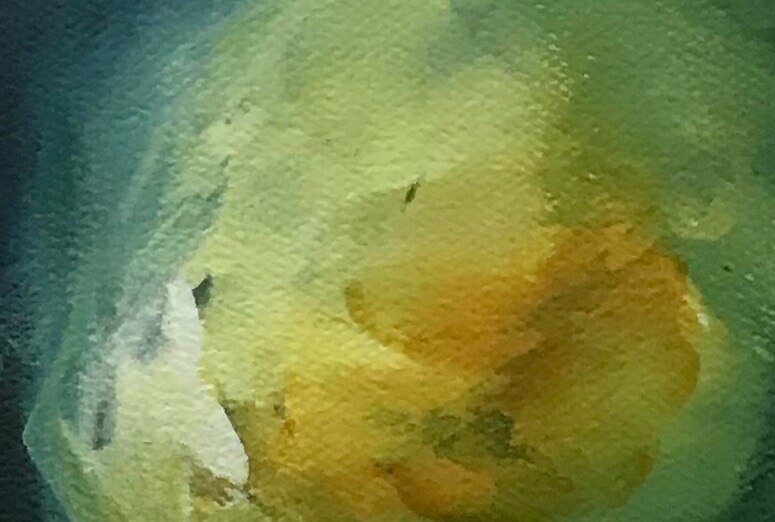 While the page is still wet, mix a lighter version of the color using a bit of white, and layer a few lighter circles on top of the darker ones. Make your pattern consistent. Keep your circle placement feeling either very chaotic and unplanned, or very orderly and graphic, otherwise it might feel stiff. Be sure to run your pattern off the edge if it’s meant to feel chaotic. 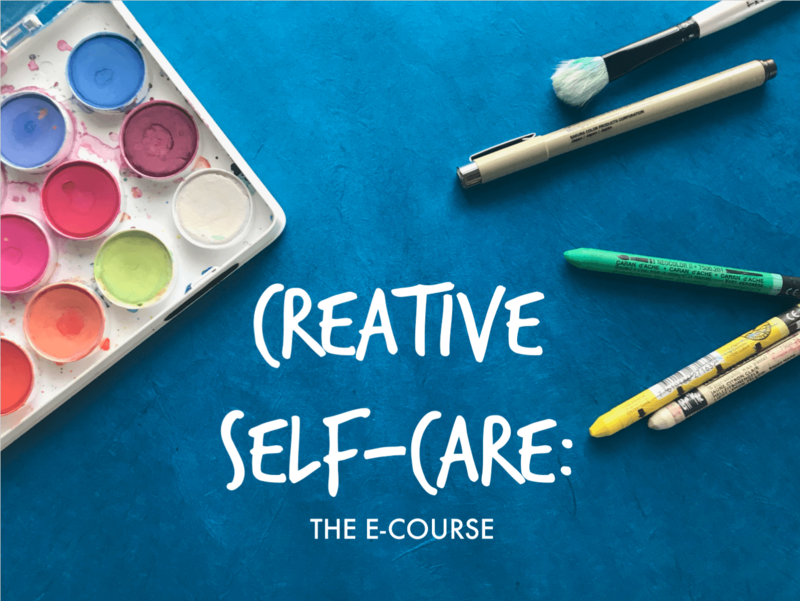 I hope this helps getting you creating today! 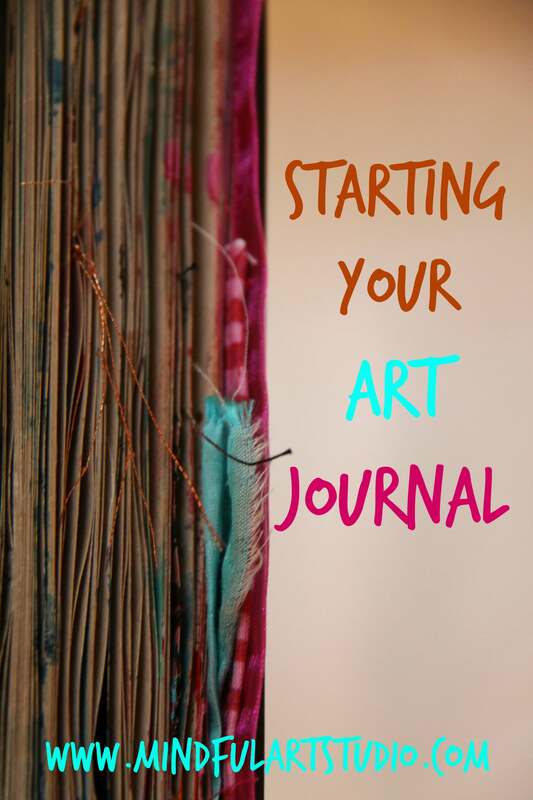 Let me know your other good ideas for starting your art journal pages. *The products linked in this post are affiliate links. 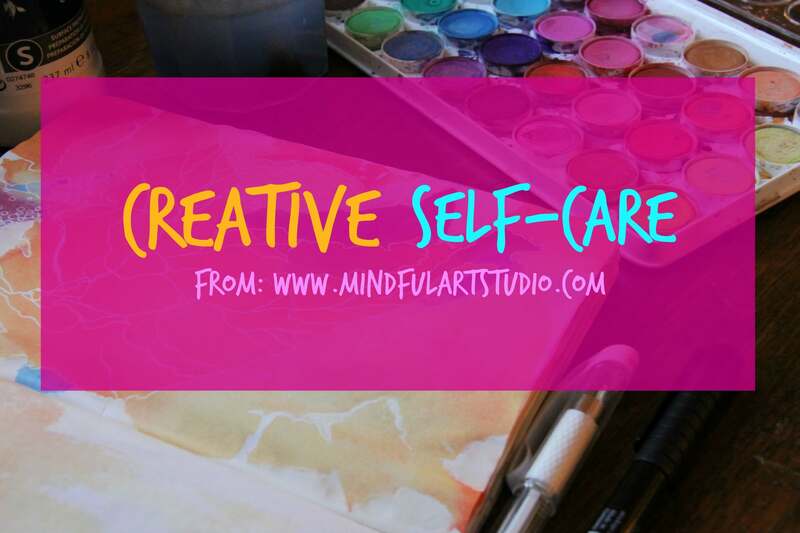 This means that at no extra cost to you, if you choose to click and purchase something, you’ll be supporting the work of Mindful Art Studio to empower the artist in all of us. Thank you! 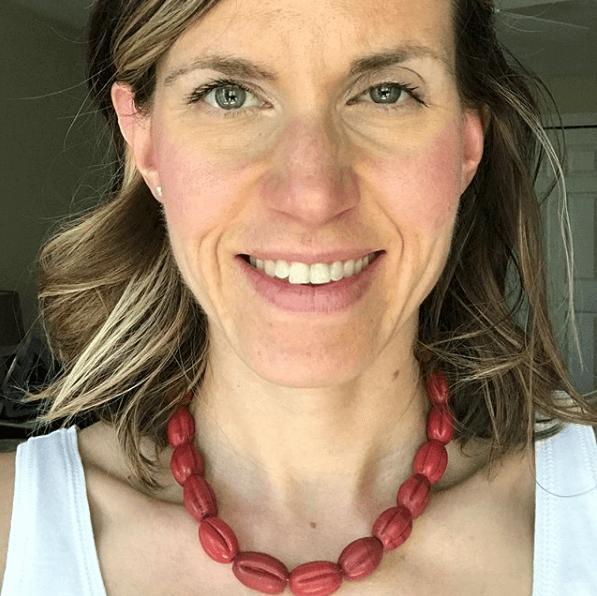 I’ve been looking back at what I and my students have accomplished in 2018. 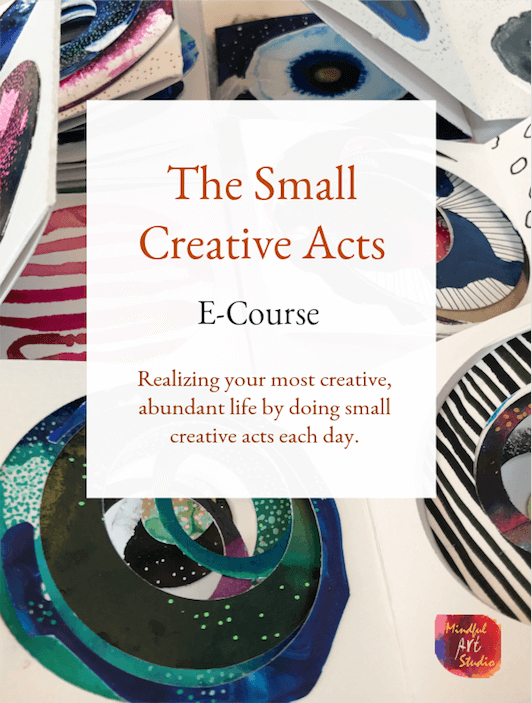 This year, I wanted to spend more time with you in “live” online classes. We did that in Spring, Summer, and Fall sessions of Diving Deep. 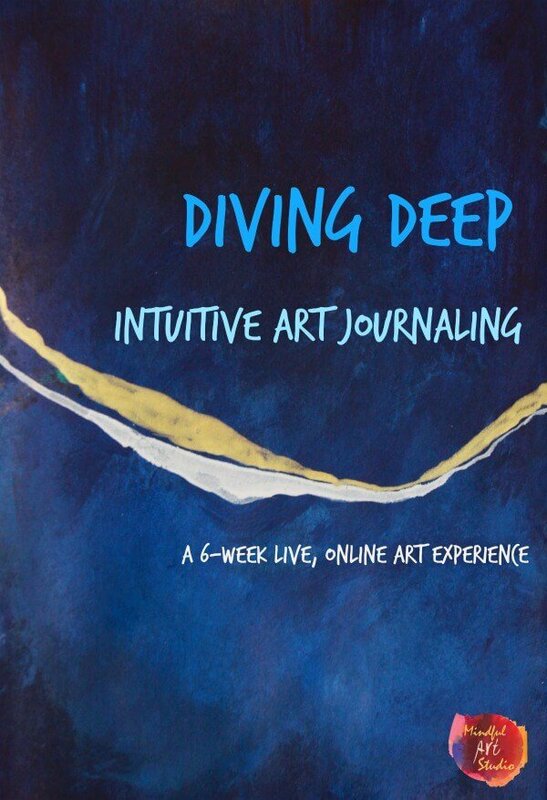 Students in the Diving Deep classes worked really hard, learned to push their creative limits, and formed a deep, intimate connection to their art. Being a part of that process is an honor I’ll never forget. 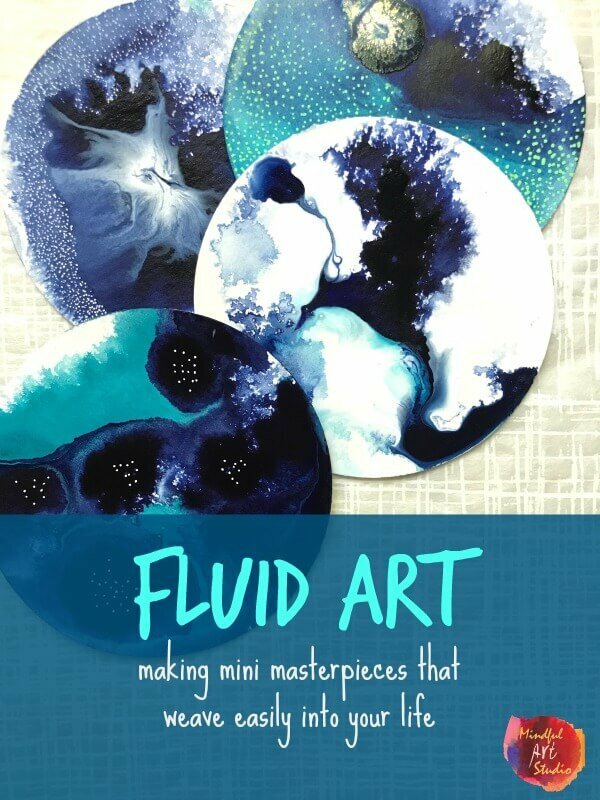 Folks enrolled in Fluid Art, Freeing the Muse, Art Journaling 101, and Small Creative Acts learned to make mini masterpieces with fluid paint, push past creative blocks, create an intuitive art journaling practice, and uncover their creativity with one small creative act a day. 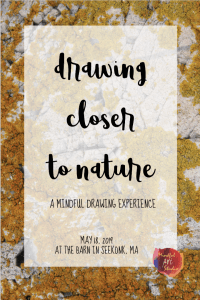 You can see some beautiful student work here and here. 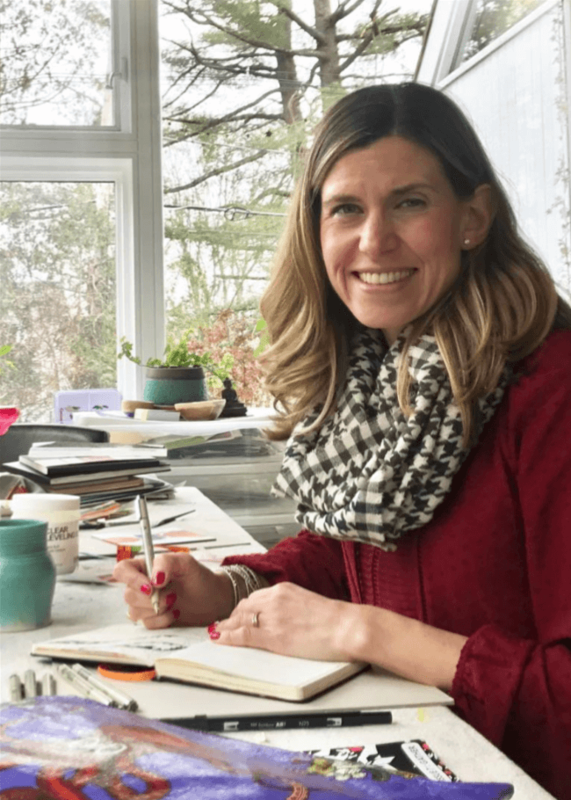 As always, I love to share the insights coming out of this community to inspire you to create. 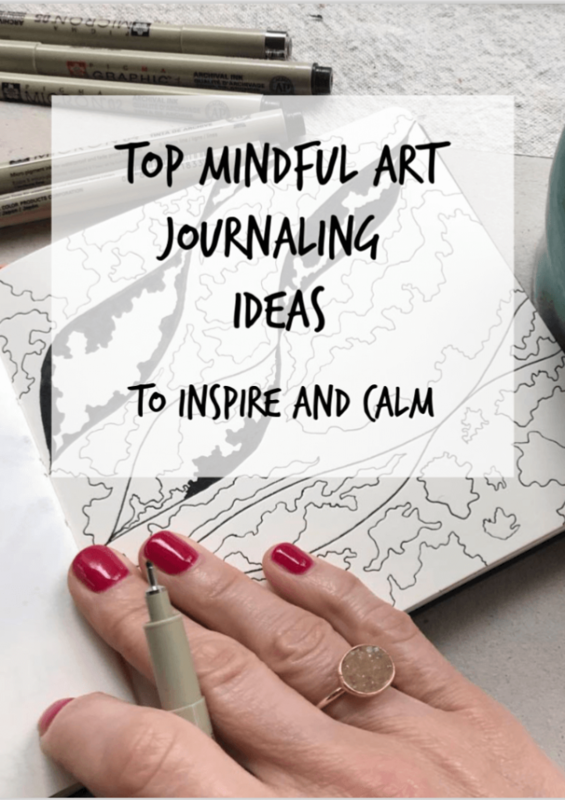 Here’s my top mindful art journaling ideas to inspire and calm. 1. 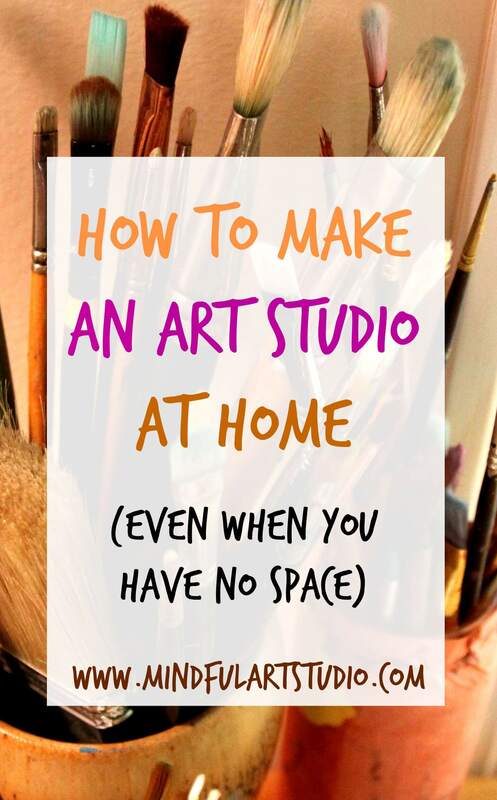 Make an art pen pal and make art together. I did with artist Cait Sherwood and it was a magical experience. 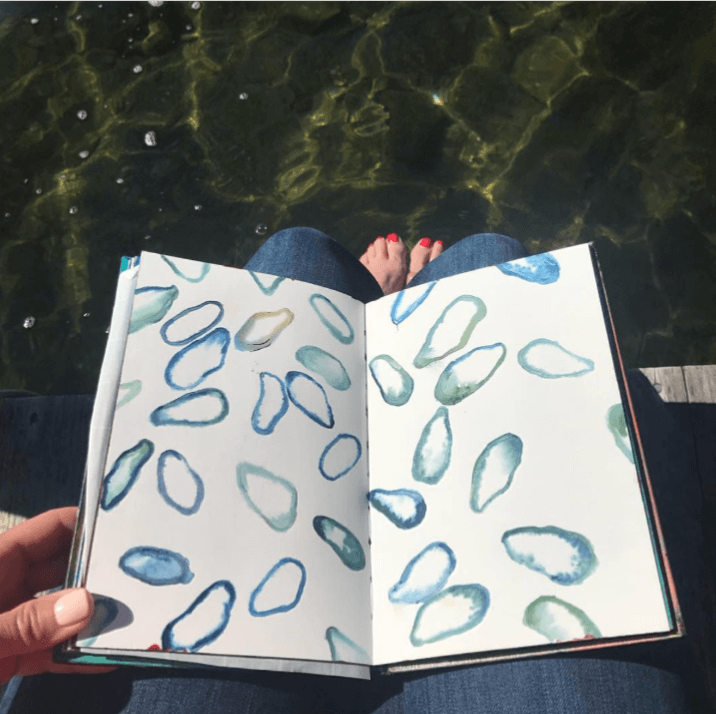 We created two gorgeous journals that we sent back and forth through the mail. Imagine getting a big art surprise in the mail every few months! What a treat to see what she has done, how it’s changed, and gather inspiration for your contribution. 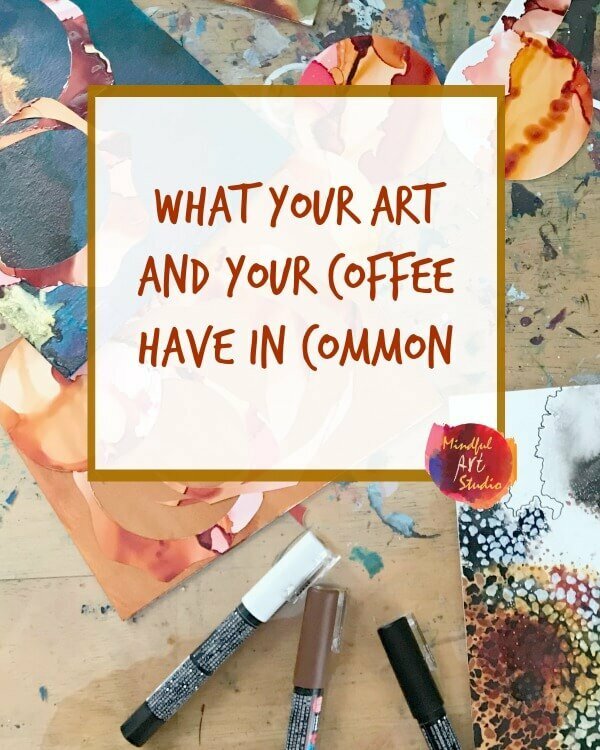 What did you learn about your art practice in 2018? I’d love to hear about it in the comments. 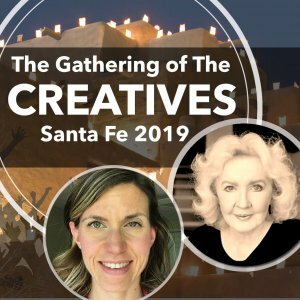 I’m looking forward to even more time with you in 2019, in face to face workshops, online retreats, new classes, and mentoring sessions to get you zooming past your artistic blocks to your most deeply creative life. 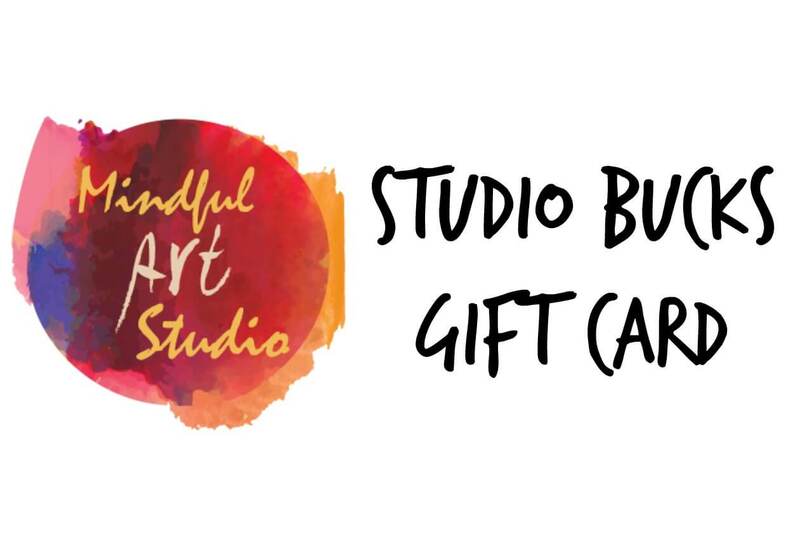 Finally, if you are looking for a way to take a class with Mindful Art Studio, your loved ones can give you the gift of creativity with one of my Mindful Art Studio Gift Cards for any of my classes.